This week I am starting work on UFO #4- Wine Country. 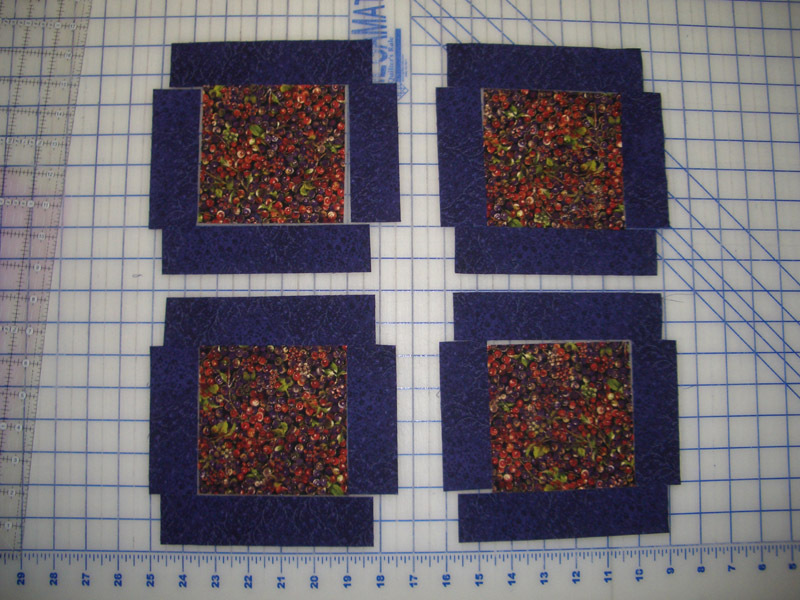 This is a pattern from Cozy Quilt Shop and is made up of primarily 2.5 inch strips. I am hoping it will go together pretty fast, but I am making it in queen size, so it is a large quilt. Below are the first blocks- I have to make 99 of these. Have a great week and don't forget to check out all the other great projects going on at Patchwork Times. That would be such a perfect leader and ender quilt!! Nice pattern...you have a lot of sewing ahead of you! That is a lot of blocks, LOL. Like the fabrics, and it is a very pretty pattern.